With devices getting smarter and more capable, accessing your applications securely must be a priority. 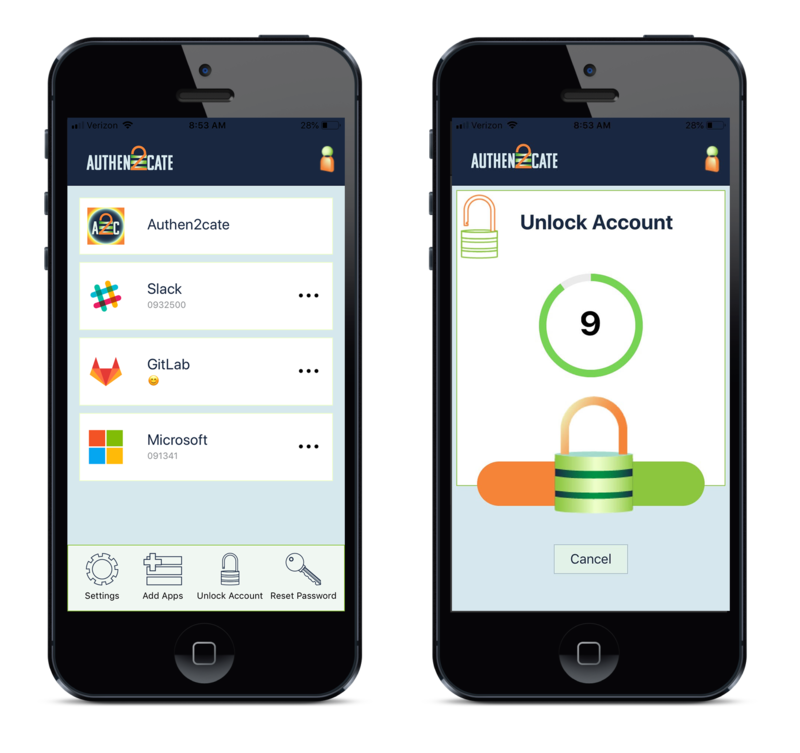 Authentication using A2C Mobile is fast, convenient, and most importantly, secure. The A2C Mobile app is available on most major smartphone platforms and ensures that the appropriate people are accessing the right information with an immediate, one-tap approval. A2C Mobile can generate secure push notifications and one-time passcodes (OTP) for a user to log into your portal or any application with Multi-Factor Authentication enabled. A2C Mobile also works similarly to MFA by requiring users to approve an initiated password reset from their device. Additionally, if a user’s account has been locked after too many unsuccessful login attempts, they can securely initiate and approve their own account unlock using A2C Mobile rather than calling the help desk. This benefits both you and your users. If a user needs to log into an application while offline (such as on an airplane), A2C Mobile can generate a one-time passcode (OTP) specific to the user and their device. This feature also allows Multi-Factor Authentication to be utilized in virtually any login situation, so users can always securely connect. With A2C Mobile, you can be confident that only authorized access to your systems and applications occurs no matter where that access originates from.